Please join us for a great night of art, appies and auctions! 50 unique and creative 12" x 12" pieces from local artists will be on silent auction in support of the Revelstoke Visual Arts Centre. Our artists donate their time and talent in support of the Centre and to offer amazing pieces to the highest bidder! It's a fun night for everyone with door prize draws and catering from La Baguette. Tickets: $15 per person - Tickets available at the door and ArtFirst! Gallery on First Street (next door to Quartermaster Eatery) - ALL WELCOME! Proceeds from this year's event will go to our planned renovation to fix our very leaky roof and replace our heating/boiler system along with other repairs and improvements. It's a big project so we need all the support we can get! 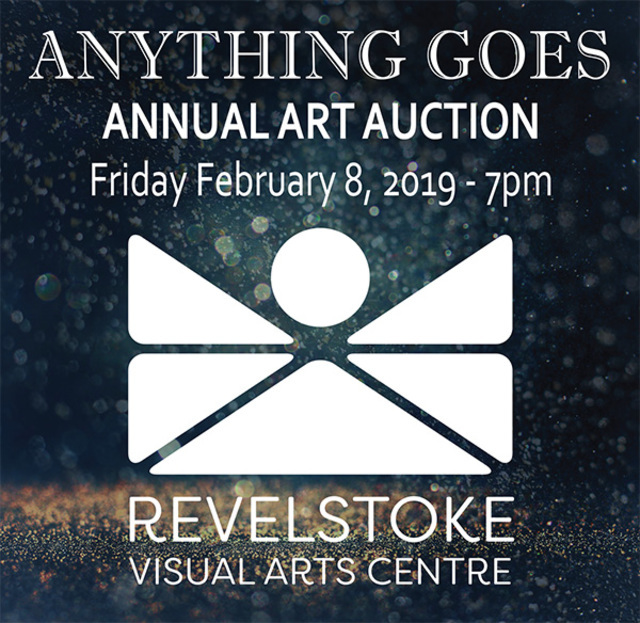 Please note: The RVAC office will be closed on Friday Feb 8 in preparation for the Anything Goes fundraiser. Regular winter hours of Fridays, 12-6pm will resume starting Friday Feb 15. Thank you for your understanding.